Download DJ Kentalky DanceHall Sauce Mix. 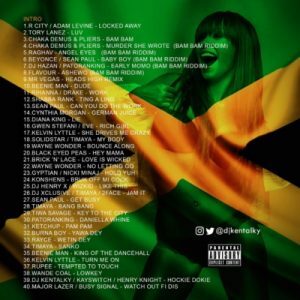 DJ Kentalky out now with another banging party jamz – DanceHall Sauce Mix. This Tracklist comprises of various latest songs of the season. listen to this awesome mixtape, you don’t wanna miss it. DJ Kentalky known for his special magic hand in mixing sounds on this just dropped all it takes to celebrate. Coming into the industry as a disc jockey brought another new dimension manipulating sounds in diverse ways.